The Black Gulch 3120 from Kershaw is a trustworthy knife to have for everyday use. It is constructed of tough 8CR13MoV steel for strength and excellent edge retention. The handle has ABS inlays with a cross groove pattern which gives a firm gripping surface. 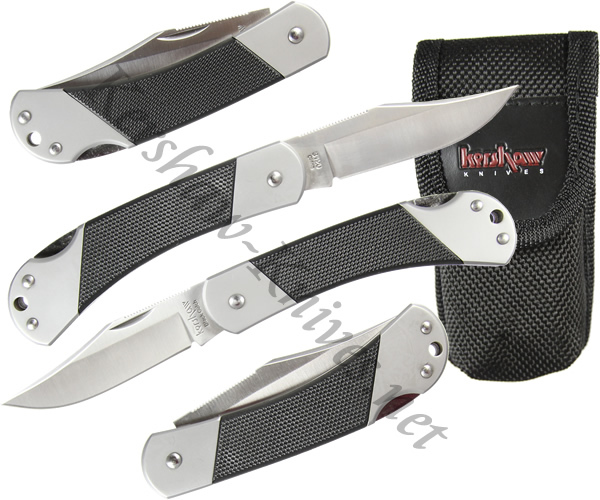 The blade is a comfortable 3 inches in length and locks into place with a traditional lockback mechanism. A lanyard hole is located on the rear bolster just in case you prefer a lanyard carry.